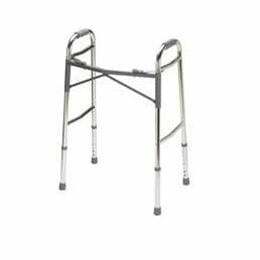 Easy to fold this walker only needs a touch of the finger or palm. Rattle free this walker is also quiet. Adult Size: 32.25" - 39.25"